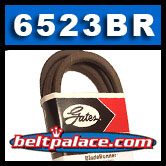 GATES BladeRunner 6523BR - 1/2" W x 80.5" L OC. 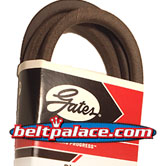 Aramid (Kevlar) Outdoor Power Replacement Belt. Provides EXACT OEM FIT for MTD, Murray, AYP, Bob-Cat, Homelite, Simplicity, Snapper, Toro, and Exmark product applications. *$32.55 SEASONAL CLEARANCE PRICE*. *WHILE STOCK LASTS. ORDER NOW TO GET SPECIAL PRICE!